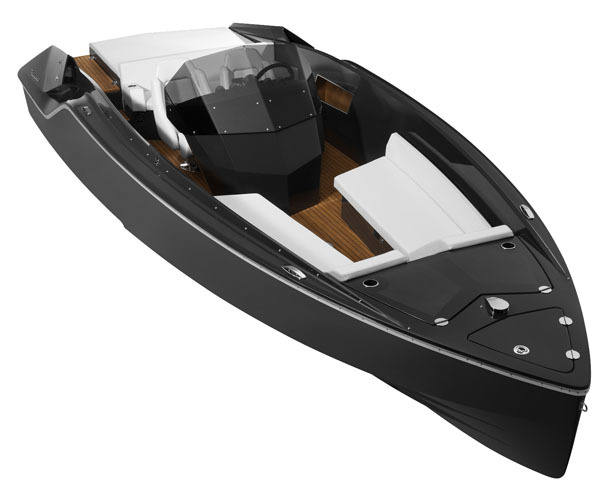 In a world awash with American, Italian, German, French and British brands, the Frauscher boat building company is pleasantly peculiar. Based in a nation landlocked by eight European neighbours and entirely devoid of coastline, it nonetheless makes use of a design and production team that is entirely Austrian. 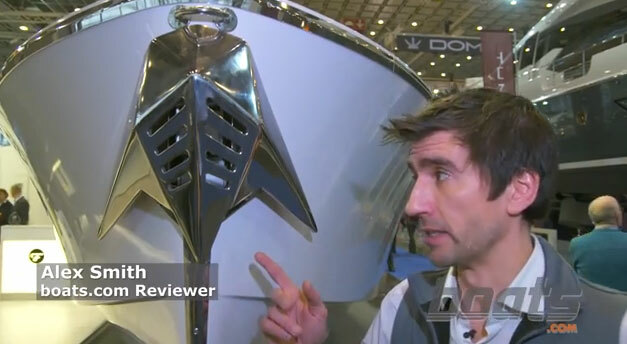 Watch Alex Smith's Frauscher 858 Fantom: First look video from Dusseldorf Boat Show. 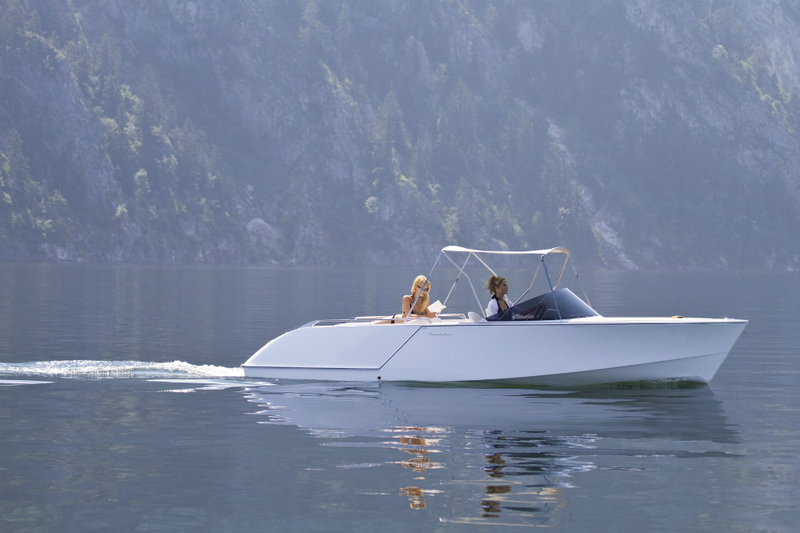 Frauscher 858 Fantom review: Stepped hull shape for speed and style but might make a bit of a wet ride. The designers suggest that the 858 “finds its inspiration in the perfection and beauty of Italian and German sports cars”. That’s a faintly clichéd claim and one we’ve heard in one form or another from several builders in the past – but when you take a close look at the Fantom, the cogency of the parallel is plain. Frauscher 858 Fantom: The mouldings are lovely. From the lustrous glint of the stainless steel anchor, along the almost surgically precise spray rails, past the raked, tinted screen to the deep-carved hull steps and the muscular aft haunches, the Fantom is a profoundly affecting piece of automotive sculpture. 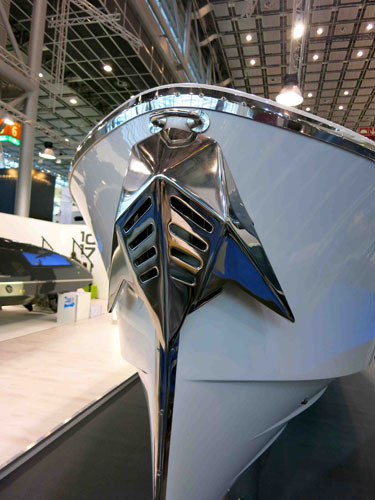 Apparently, Kiska (the design team behind KTM motorcycles and Audi car interiors) is responsible for some of this boat’s more dramatic design features and their combined impact is enormous. Aesthetically disruptive items like windows and grab rails are conspicuous by their absence. The slick, wraparound screen is rimless and beautifully blended into to its GRP base – and there’s no disjointed jutting of the swim platform. Instead, like every other feature that threatens to add peripheral clutter to seamless form, it is tightly integrated into the pristine flow of the mouldings. Step on board, past the swim platform and the vast aft sunbed and you find yourself in a very deep and simple cockpit. 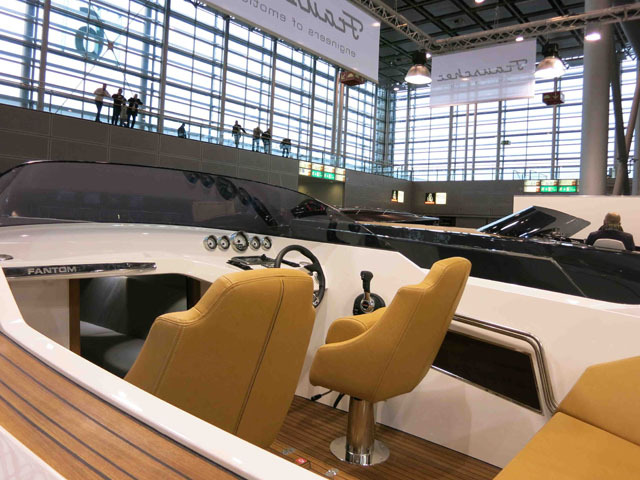 A traditional sports boat arrangement comprises a pair of bolstered, revolving helm seats and a three-man aft bench, neatly built into the front end of the engine hatch. Here, at the shoulder of the bench, teak-lined walkways emerge from the topsides and move forward, down either side of the screen to a tapered bow that projects toward the horizon with all the sporting bravado you could want. It’s a lovely looking boat and one that deservedly draws the crowds – but of course, the downside of all this passionate design purity is a general lack of practicality. 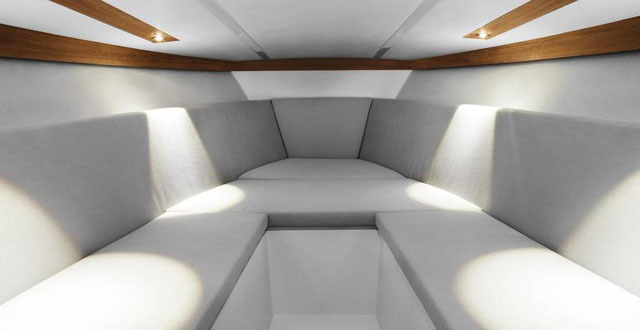 With no windows either above or to the side, plus a tapering beam and a flat foredeck, the compact cabin has no natural light at all beyond that which enters via the cockpit door. The cabin on the 858 Fantom lacks natural light and scale. Certainly, it’s very neat, cleanly designed and understated in its finish (and there is also an option to equip it with an electric loo) but in truth, it’s not much either to look at or to talk about. By contrast, the aft arrangement is excellent. Open up the upholstered lid of the engine bay and it reveals full engine access and a large storage box, plus dedicated places for your cockpit table, your nav lights and your cockpit canvas. The cockpit aboard the 858 Fantom is traditional with some neat storage solutions at the aft end. 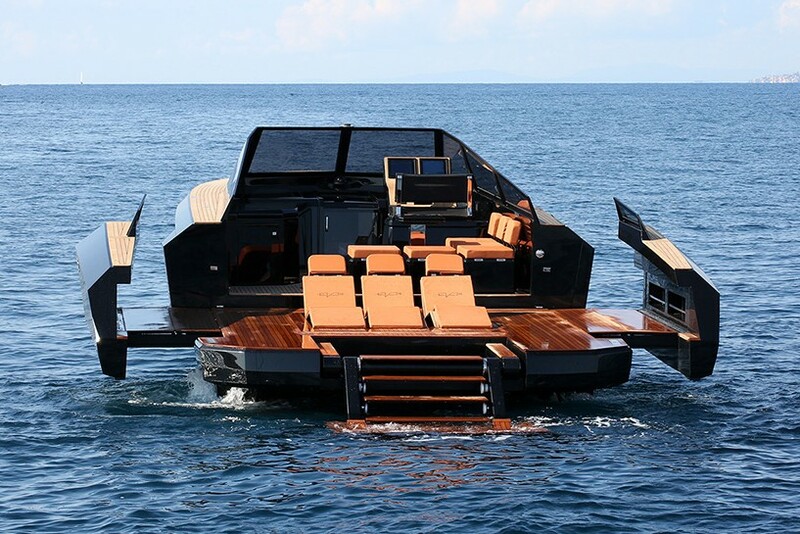 Behind this, the huge, teak bathing platform is a major plus, as is the spacious sunbathing area, the lavishly executed stainless steel trim and the impressively luxurious finish in the cockpit. However, as you might imagine, not everything you see here comes as standard. If you want that custom stainless anchor with electric winch (and with limited access to the bow, it makes good sense), you’ll have to specify it from the options list. 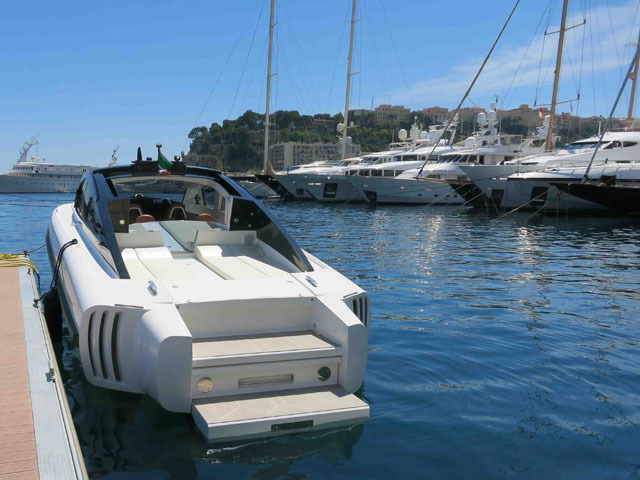 The teak decking, the bow thruster, the electric toilet, the bimini top and the Bose audio system are also optional extras – but if you’re paying the best part of €200,000 (£160,000) for a 28-foot dayboat, it seems like false economy to stop short with the finishing touches. The optional anchor is basically a "must-have". 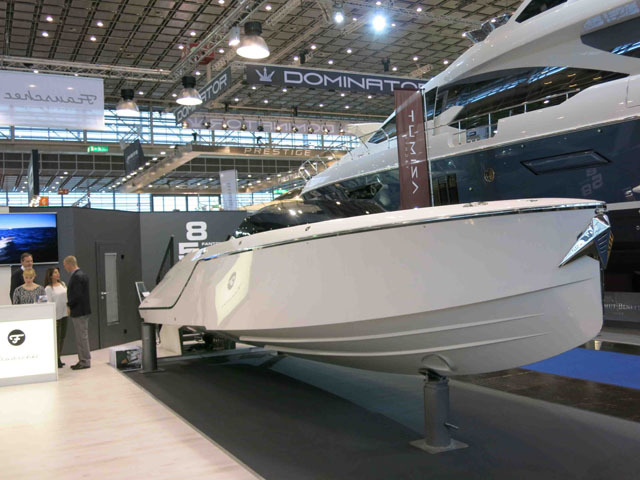 A stepped hull with a tapered bow and a fine entry always looks like it has the potential to be a bit wet if you let the nose dip in a following sea – and this is especially the case with the helm a good way forward and the virtual absence of anything resembling a bow flare. 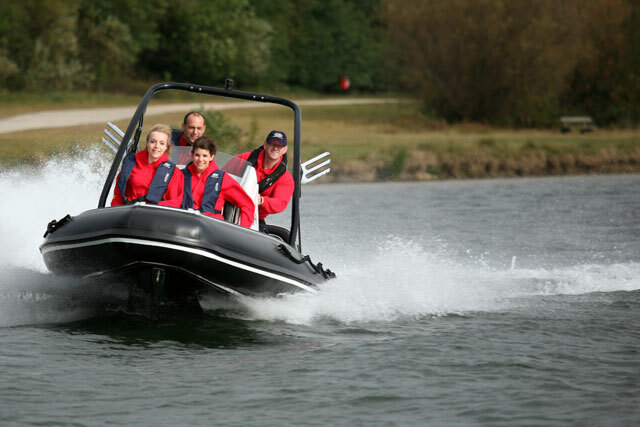 Even so, there is plenty of room for optimism as regards the handling dynamics because this boat’s big sister, the 1017 GT, won IPC’s 2014 Motorboat of the Year award for its intoxicating performance as “a top-class gentlemen racer”. Look more deeply at the 858 and there are further signs that its performance ought to be well up to scratch. It uses a Z-drive, which can be hooked up to various V8 petrol or diesel engines for a base speed of 40 knots or (with the optional 430hp 8.2-litre V8) a much more appropriate 48 knots. And while it employs the vertical stem and stepped hull that have been used to such good effect by Thomas Gerzer on other Frauscher craft, the underwater profile of this boat has also received the input of Harry Miesbauer, the man behind several conspicuous successes from the Wally and Maxi Dolphin stables. 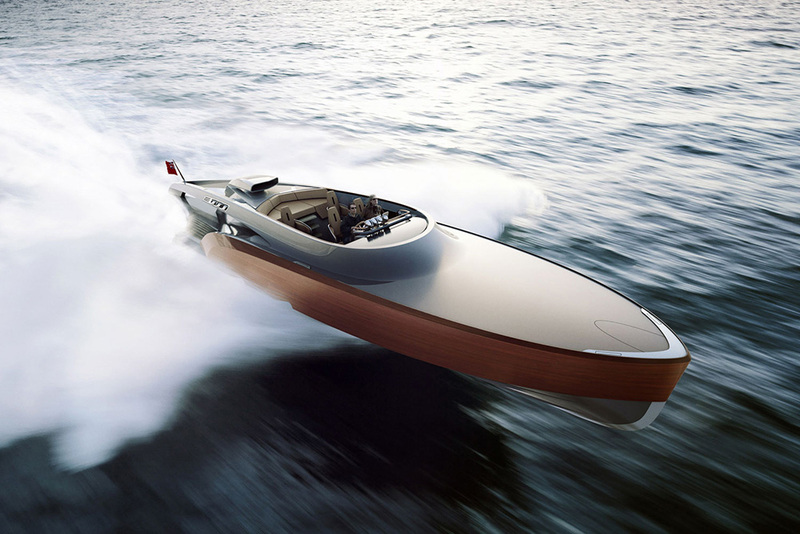 The Frauscher 858 Fantom makes no compromises in its pursuit of aesthetic purity. With its radically polished looks and high-end sporting pretensions, it is of course lacking in some of the basic practicalities. There are no grab rails or windows and both the seating and the deck space are limited for a boat of this scale. But to criticise this boat for its practical failings is about as pertinent as criticising Naomi Campbell for her ineptitude as a mechanic. Ignore the fact that this delectable boat might be awkward to live with and take refuge in the fact that it is so easy to love. 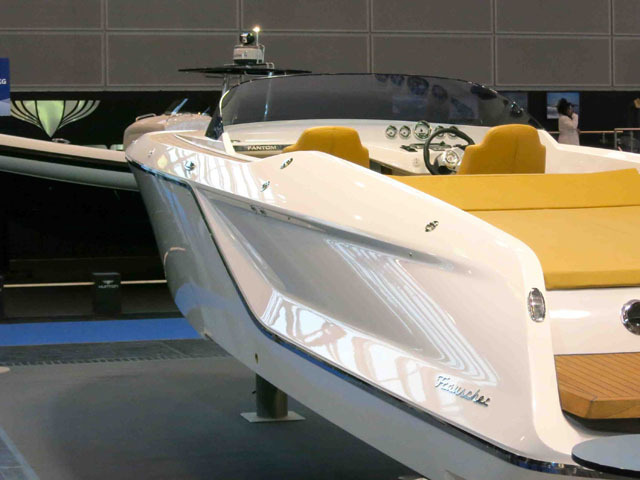 For more on Gentlemen's launches and high-end tenders, see: Cockwells 9.5 tender: First look video and New Zero Carbon Superyacht Tender.